Passengers on an Aero Contractor flight to Uyo in Akwa Ibom state had a flight scare earlier today as the air jet missed the runway in an attempt to land at the Uyo airport. The flight ran into a terrible rainstorm according to aviation officials. The Chief Pilot of Aero safely landed the plane after a second try. All passengers disembarked without incident and the airliner has returned to Lagos. 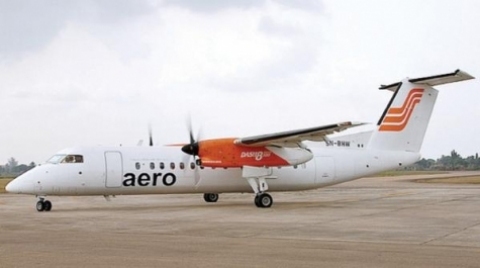 Once an airline working the profitable oil and gas industry routes, Aero Contractors fell deeply into debt but is reportedly making a comeback after settling with Oceanic Bank over the N30bn unpaid funds.